Brain Washing From Phone Towers is a series of informative and entertaining Informational Pamphlets produced by hand on a seasonal basis. 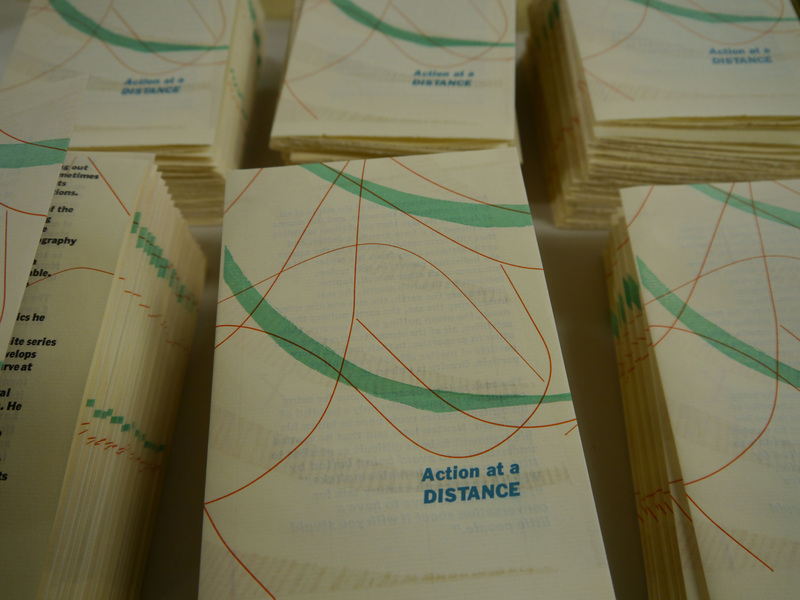 These small-scale publications combine text (handset in metal type) and image (carved in wood or linoleum) produced via obsolete technology in editioned works which are distributed at will to a chosen audience. The content of the series aims for historical interest, commemorative intent and a healthy dose of humor, and the distribution methods are based on the values of the gift economy. Our publishing model reflects the print tradition of the tract, small pamphlets used for religious and political purposes, which are often either left for someone to find or handed out. The majority of each edition is sent out to a mailing list. The list changes for each pamphlet and includes people who have subscribed to the series, people who are friends of the subscribers who have been added to the list as a surprise free gift, and people who I just want to send pamphlets to. Some of these people I know, some of these people are strangers. The remaining copies are sold through book fairs and events. Subscriptions subsidize the cost of production, along with grants, and sales at book fairs. Have you received a pamphlet and have some questions? Welcome! See our Frequently Asked Questions page for answers. Subscriptions are now available here for 2019. If you’ve received a pamphlet in the past, and would like to continue to do so, please consider subscribing. I’ve published about history, ecology, science, food, economics, and more. I love writing about obscure islands in NYC and obscure ideas anywhere in the world. We have received support from the Brooklyn Arts Council, the Puffin Foundation, and the Lower Manhattan Cultural Council, and of course, from all the wonderful people who have subscribed in the past and will hopefully do so in the future. I did a few live events in 2017 for the series on Jamaica Bay, and plan on continuing that in the new year, and there’s some exhibitions planned for 2018. So sign up and you’ll hear all about all of the above. If you’re looking for my main portfolio site, you can find it here.